30 Dec :National air-carrier, Air India on Tuesday slashed its basic air fares in the domestic sectors ranging 35-82 percent since the reduction followed successive cuts in aviation turbine fuel prices by oil marketing companies. Besides Air India, Kingfisher, Jet Airways, SpiceJet and Indigo have already reduced fuel surcharge on all domestic flights, resulting in the airfares dropping by about 400 rupees. 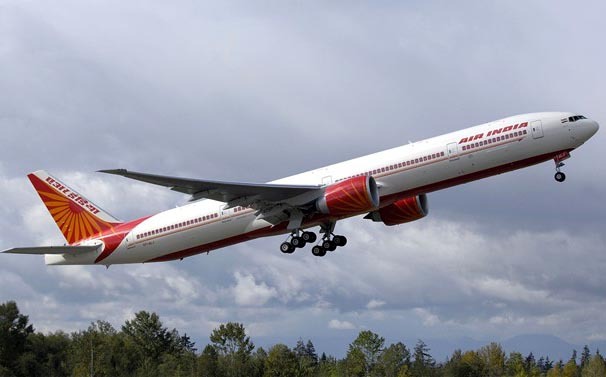 The Civil Aviation Ministry had asked the Directorate General of Civil Aviation to crack its whip on domestic airlines continuing with congestion surcharge of 150 rupees despite the substantial fall air traffic congestion over major airports like Delhi and Mumbai. The fare cut was effective from 1500 hours on Tuesday, an Air India spokesperson said.The maximum reduction in fares was 82 percent on the Chennai-Bangalore route, while on Mumbai-Kolkata route, the reduction would be 35 percent, Air India said.The basic fare for travel between Mumbai and Delhi now stands reduced by 49 percent, the company said. The fare cut has come a day after Air India’s competitor and private air carrier, Jet Airways reduced its basic fares upto 40 percent.Another leading private air carrier, Kingfisher Airlines, had also announced reduction in its fares from 1st January. However, Kingfisher is yet to take a decision on the quantum of the cut.